Q. What are our legal responsibilities in regard to our asset stock e.g. Buildings, Plant etc? A. Your legal duties can be found in the New Zealand Health & Safety at Work (Asbestos) Regulations 2016. Your first duty, according to Part 2, Section 10 of these regulations is to ensure that asbestos is identified in the workplace. Coleman Consulting can provide you with an Asbestos Management Survey to help you find where any asbestos that could be disturbed in the day-to-day work of your building (including any plant!) could be. Our management surveys will also provide in indication of the condition of the asbestos containing materials and a material assessment to aid in the formulation of as asbestos management plan. Your second duty, according to Part 2, Section 12 of these regulations is to ensure that the presence and location of asbestos is indicated. Whether you do this by mentioning any asbestos in a site introduction or physically labelling each asbestos containing material, your all employees, tradespeople, or visitors must be informed. Your third duty, according to Part 2, Section 13 of these regulations, is to prepare an Asbestos Management Plan. An Asbestos Management Plan will detail the location of any asbestos containing materials in your building (including any asbestos found in plant), it will also detail how you are managing the materials and why you have decided to manage the materials in that way. Coleman Consulting are experts at putting these together. Get in touch with us to find out more about what your duties are and how we can help. Q. What are our legal responsibilities relating to staff safety involving asbestos? A. The Health and Safety at Work Act (2015), Sections 48 and 49 state that you have a duty to ensure that no person is exposed to the risk of death or serious injury or serious illness while in the workplace; exposure to airborne asbestos fibres poses risk of death or serious illness. Following from this, you also have duties under the Health and Safety at Work (Asbestos) Regulations 2016, Part 2, Section 9. This states that you have a duty to ensure airborne asbestos is eliminated or minimised as far as is reasonably practical and to ensure that the airborne contamination standard is not exceeded in the workplace. Part 2, Sections 10, 11 and 12 says that you have a duty to identify all asbestos, analyse samples of possible asbestos containing materials and ensure the presence and location of asbestos is indicated. You also have a duty to inform workers about the health risks of asbestos related work as per Part 5, Section 49. Q. What type of Survey do we need? A. The type of survey would depend on what you plan to do with your building. If your workplace is was built before the year 2000, then you need to have an Asbestos Management Survey done on your building. The purpose of an Asbestos Management Survey is to identify the presence of any Asbestos Containing Materials (ACMs) that could be disturbed in the day-to-day goings-on in the building. Asbestos Management Surveys note the location, condition and extent of any ACMs in the building. These surveys form the basis of an Asbestos Management Plan. If you are doing any renovations to your building, regardless of the building’s age, you need an Asbestos Renovation/Demolition Survey. Asbestos Renovation/Demolition Surveys are based off a scope of works, identifying any potential ACMs that could be disturbed in the process of any renovation/demolition works that is planned. Asbestos Renovation/Demolition Surveys are legally required before any renovations/demolition can take place. For more information check out our information page on the surveys we offer! [Please insert a link to this page]. Q. We have had an asbestos management survey and found asbestos in our building/s what is our next step? A. For the most part, asbestos very rarely requires removal. Only when asbestos is friable (damaged and creating dust), should you look at removing it. Your duties according to the New Zealand Health & Safety at Work (Asbestos) Regulations 2016, Part 2, Section 13, is to prepare a management plan. Your asbestos management plan must include what you are doing to manage the asbestos, how those who work in the building are informed about asbestos, and why you have decided to manage the asbestos in the way you’ve chosen. Coleman Consulting are experts at putting together asbestos management plans. Give us a call to find out more. Q. What do we do if we need to remove Asbestos? A. Any major removal work will be classed as a renovation and, as such, will require a specific Asbestos Renovation Survey against a set of plans or scope e.g. “West wall of building 2 and redecoration of office textured ceilings.” This report will be given to the removal contractors as a basis of their contract. The contents of this report will be used by the contractors to make an Asbestos Removal Control Plan (ARCP). ARPCs detail how the removalist will remove the asbestos. From there, the removalist must notify WorkSafe at least 5 days before the removal work will take place. Q. Are there any other responsibilities I have once a contractor has been chosen and a contract awarded? A. Yes, as a Person in Charge of a Business or Undertaking (PCBU), you are responsible for ongoing monitoring of the contractor’s work. To help you with this, you can hire an independent third-party contractor to ensure that the removalist is meeting all the standards and not producing a risk to your corporate entity, to your staff and to the public. Coleman Consulting offers contractor oversight to help ensure that the removalist you’ve contracted works to best practice standards. Q. As a tradesperson what are my legal responsibilities regarding asbestos? A. You have a responsibility to keep yourself, others around you and the public safe from asbestos fibres. This means that, should you come across an item that you believe to be asbestos, you must ensure that you do not damage it in any way, moreover, you must not let anyone else on the site damage the suspected ACM. Q. What must I know or ask for before entering a site? A. It is important to know if there is any asbestos on the site that could be disturbed by any of the work you will be doing on the site. Ask if an asbestos survey has been carried out. Ask for a renovation plan showing asbestos risk or asbestos management documentation showing where known asbestos is. And, of course, ask what controls need to put into practice when working on/near it. Q. What are my responsibilities when there is no documentation available for the residential site I am working on? A. The best thing to do in that case would be to get testing done by an independent asbestos assessor to confirm or deny the presence of asbestos. If that is not a reasonably practicable option for you, then you should assume everything may contain asbestos and put controls in place accordingly. Q. Can I remove or handle asbestos myself? What PPE and RPE is required during removal. Coleman Consulting are expert trainers and have training courses to teach you about the basics of asbestos removal work under 10m2. Q. We have just bought a property and now we are worried there may be asbestos in it, what do we do? A. Contact a reputable independent Asbestos Assessor and discuss your concerns. Coleman Consulting has found a simple discussion can give some peace of mind. There is not often a need to immediately remove any suspected asbestos material. If asbestos can be managed, then it would be easier to do so than to remove it. If you are still worried about the location of asbestos in your building, Coleman Consulting can perform either an Asbestos Management Survey or an Asbestos Presumptive Survey, in which we can identify any potential ACMs in your building and give some recommendations on how you can manage them effectively. If there are any ACMs which are deemed to be in poor condition and could be releasing asbestos fibres, Coleman Consulting can give you peace of mind by performing air monitoring on your property. Air monitoring will tell you whether there are airborne asbestos fibres in your area. Q. As a homeowner, am I bound by Worksafe Regulations and the Health and Safety at Work Act (2015)? A. No not with Worksafe. These regulations only apply if you are in a workplace. You do, however, have a responsibility under Council Regulations (i.e. Dangerous and Insanitary Building Policy) to ensure you aren’t creating a health hazard for yourself and others. Q. I love doing home renovations; how can I keep ourselves safe from asbestos? A. Get a professional in and talk to them about what you are looking to do. Be sure to have an Asbestos Renovation Survey performed by a professional based on the scope or works you have discussed. Q. We have found asbestos and want it removed. Can we do it ourselves or should we get an expert to do it? A. Yes, you can do it yourself if you are competent. We recommend that you undertake an Asbestos Maintenance Course, so you understand the health risks involved and the controls that are needed to fully negate those risks prior to starting the work. 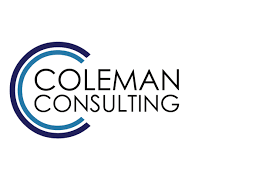 From Coleman Consulting’s experience we find that home renovators generally do not have access to the right skill base and equipment needed to ensure on going family safety and would recommend you seek a professional removalist to any asbestos works.